When Jude Devereaux—on the run from a domineering lover—seeks shelter at a secluded Alaskan cabin, unable to make it to town before the blizzard hits, suspicious SOB Hutch is naturally wary, but Jude isn’t just gorgeous, he’s funny and smart and flirtatious. Good things happen over the three days they’re snowed in, and by the time the storm clears, Hutch finds himself a little too attached. But is Jude who he claims? The last thing Hutch wants is to re-enter the world of espionage and violence he came to Alaska to escape, but the threat to Jude is unthinkable. Hutch refuses to let anything bad happen... even if it means delving into secrets Hutch thought were hidden for good. I adore Dreamspinner Press’ Dreamspun Desires line. It’s not for everybody and I have to be in the right mood for the sugary sweet, happily ever after romances because they always deliver the perfect ending, even if it’s quite often over the top. Buuuuuut, every so often, they sneak in a romance that is a bit gritter than the usual lineup. No doubt about it, it’s still a romance, but they have a definite edge of danger to them that give them a different feel. Snowblind is one that falls into that second category. Eli Easton infuses quite a bit of action and suspense into the storyline, keeping me on the edge of my seat as I was waited for the next twist, the next shoe to drop, and the next double cross, all while wondering just how Hutch was going to get out of the mess that landed in his lap, and still get his guy… all while not dying. Interesting side note before I begin, the blurb on Dreamspinner’s website differs from the one on Audible, with the former being the better of the two and the one I read when I signed up to review it (but had forgotten about when I started listening to the audiobook). Perhaps if I had refreshed my memory, I wouldn’t have been as surprised by the violent turn the story took? Nah, it still would have been unexpected because, again, the Dreamspun Desires line is more focused on romance than suspense, and as I’ve not read any of Easton’s writing before, I had no expectations. With that said, I’ll certainly be checking more of the author’s work out because Easton does a great job of building Hutch’s suspicions and then lulling him (and me) into a false sense of calm, all before dropping the hammer on him. And what a hammer it was! I did not see that coming, at all. But Easton doesn’t stop with a simple betrayal. Nope, the author then proceeds to turn Hutch’s life upside down and inside out when the people he was hiding from come banging on his door, demanding he take part in one final mission. Of course, Hutch hasn’t evaded them for years out of pure luck. The man is smart and knows a set-up when he sees it. It’s just that there’s no way he can turn his back on Jude. It doesn’t matter that they’ve only known each other a matter of days or that he knows he can’t trust Jude, Hutch isn’t made that way – he cannot turn his back on someone who means something to him, no matter how new those feelings are. Once Hutch makes it to the target’s location, we quickly learn that what went down at the cabin was just a warm up for Hutch because the man is lethal. But because Hutch in action is dangerous, deadly, and can make life and death decisions in a second, it makes for a stark contrast to the man we meet in the Epilogue. And that makes the ending of the book even better. I love listening to John Solo narrate the Dreamspun Desires audiobooks (well, the majority of the ones I’ve listened to). Solo has such a smooth, storyteller voice that it adds a level of believability to the toothache-inducing romances. However, in the case of Snowblind, Solo infuses a lot of extra testosterone to the characters’ voices, enhancing the suspense and action vibe the author has penned. Even when Hutch allowed Jude to distract him with a bit of romance, he never loses the edge to his voice that communicates his constant state of wariness. There is no mistaking that Hutch is in danger, even when we’re not yet aware of what that danger is. I thoroughly enjoyed Snowblind and was sucked into the story fully as Solo brought Easton’s words to life. 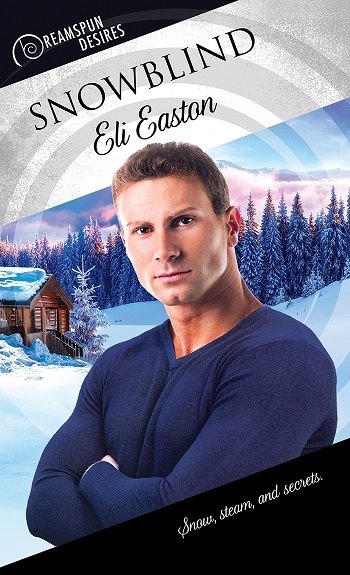 Reviewers on the Wicked Reads Review Team were provided a free audiobook copy of Snowblind by Eli Easton, narrated by John Solo to listen to and review.